Burnett and Louise Joyce have announced a rare opportunity for cattlemen to get their hands on good lines of Gyranda Santa Gertrudis breeding females. A Special Female Production Cattle Sale will be held on their property on Wednesday 18th May, 2011. 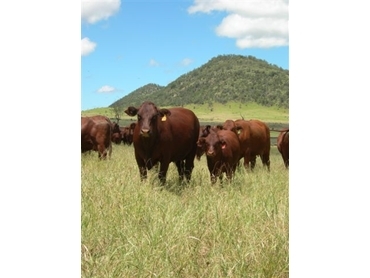 Gyranda is highly regarded for their outstanding Santa Gertrudis cattle, in particular the females. There are 250 stud and 200 commercial cows and heifers listed. All of these will be PTIC and some will be offered with weaner-age calves at foot. A Santa Gertrudis cattle catalogue is available on the Gyranda Website.